It is so difficult to go for a fine dine South Indian restaurant for South Indians, I guess. Unlike most countries where fine dine is a way to showcase home cuisines, here we would prefer to try our fine dining at places that serve more exotic cuisines! Why pay for the ambiance when you eat what you normally eat at home, right? So a food festival titled MADRAS, celebrating the Madras Day, was the perfect excuse! I came back thinking we should go more often! The best way to enjoy this would be to call the chef, tell him your budget and ask him to surprise you! Believe me, it takes away the hassle so much and he knows how to make it happen. 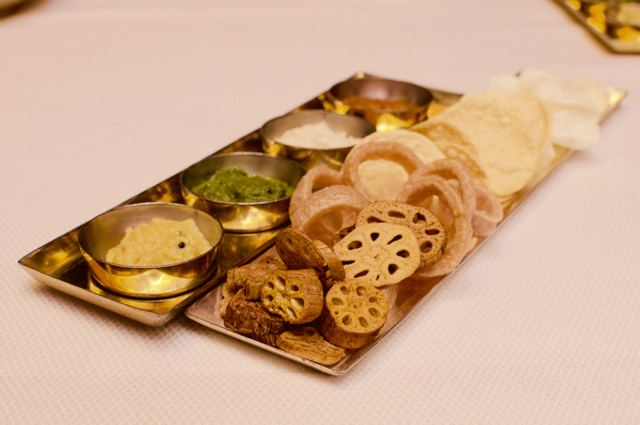 It starts off great with the papad platter, but with a twist. Crisp lotus stem papads! South Indian? I don't think so, but you wouldn't care. It was super yummy, flavoured like the mormozhaga and so was bang on South Indian flavours and set the tone for the dinner. Rather, set the tone for the rasam. So the lotus stem is not the only thing inspired by Indo Chinese meals! 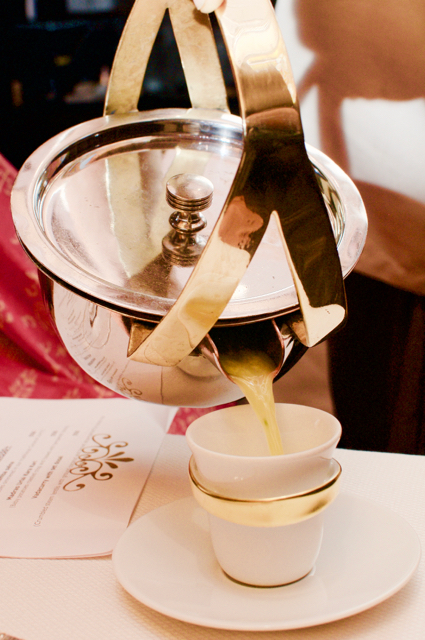 Like the Chinese tea, the pineapple rasam, was being refilled in the tiny cups throughout the meal! I am not a rasam fan, but I must've had at least three helpings! It was an awesome rasam with a tinge of sweetness from the fruit. Perfect for me! Simple but superb chicken fry, some yummy prawns and their the signature Kair Katti Kola Urundai, basically, deep fried minced lamb set us off! I've been a huge fan of their Kair Katti Kola Urundai and since this was a chef meal, we stopped with one piece each! The chef thali came along! It has small portions of many curries and we could choose two items to pair them with. 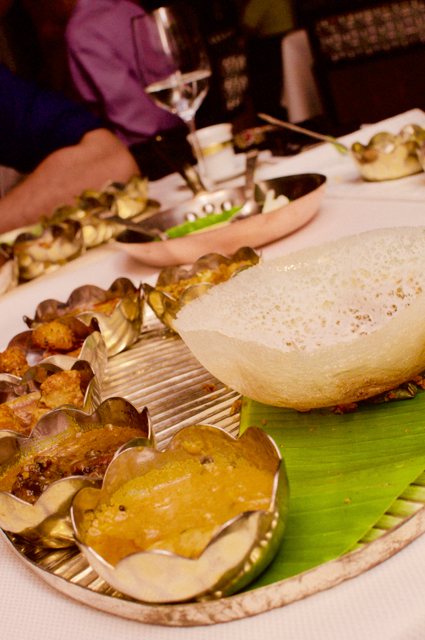 We chose the dosa and the appams, but I wish I had tried the parathas too! With three gravies, one vada curry and one super yummy fried potato, this was really a kings platter. Every gravy was rich and since we didn't individually order, I don't know the names. Trust the chef and leave it to him! We finished off with two simple desserts! 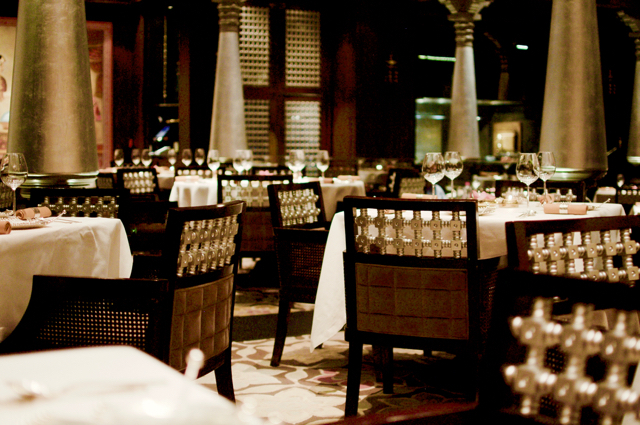 Southern Spice has been highly ranked right from inception and it was nice to see South Indian food showcased in grand grand opulence. The ambiance and service are all top notch and I saw the chef greet every table and ask for preferences. Yes, this is food I get at home, but once in a while, especially when they have some unique festivals, Southern Spice has to be on every fine dine enthusiast's options! A meal for two without drinks will set you back by about Rs. 3500! This food festival is on till the 28th of August 2016. 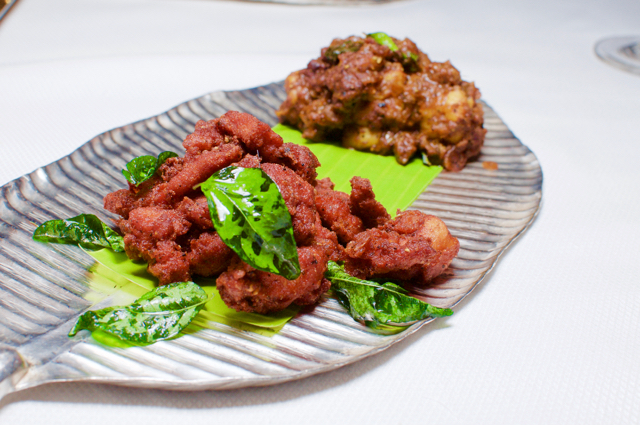 Southern Spice is at the Lobby level at Taj Coromandel, Nungambakkam.